Seems like there’s a competitor on every corner, right? 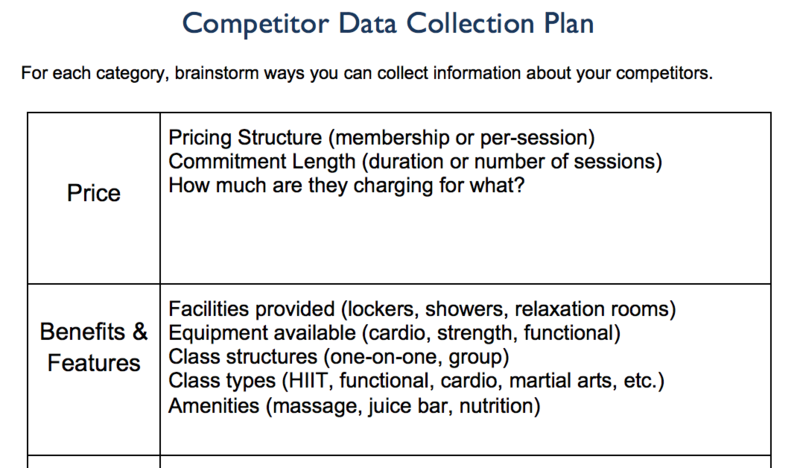 Worry not – as a savvy fitness business owner you can make it in a crowded field if you properly define your brand. It often helps by understanding the competition, learning from him, and creating your niche. 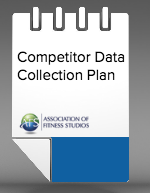 This Competitor Data Collection plan will help ensure your business obtains the necessary data to beat the other guy! ADDED BONUS! Receive a completely filled out sample copy to help guide you!